Branchburg, New Jersey is a township in Somerset County. As of the 2010 United States Census, the township's population was 14,459. Incorporated in 1845, the area now known as Branchburg Township was originally inhabited by the Raritan Indians a tribe of the Lenni-Lenape Indians. By 1686 most of the land was purchased by the Lords proprietors of East Jersey. These Proprietors sold the land in small parcels to numerous settlers, mostly of Dutch or English extraction. Branchburg at that time was located in a large area called East Jersey and encompassed parts of Essex and Middlesex Counties as well. County boundaries were a subject of controversy until 1741 when Somerset County acquired parts of Middlesex and Essex Counties, nearly doubling its size. Due to the expansion of Somerset County, Branchburg finally lay entirely within the County where it is presently located. Today, Branchburg is a semi-rural area of approximately 20.2 square miles, is eleven miles long and approximately two miles across at its widest point. There are several small stores and strip malls as well as a “World Class” Shop-Rite supermarket, Starbucks Coffee and Dunkin’ Donuts within Branchburg’s boundaries and several shopping areas nearby including the Bridgewater Commons Mall and the outlet shopping area in nearby Flemington. 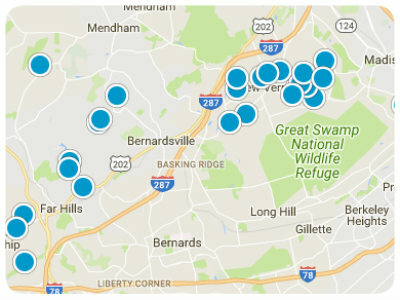 Most of the commerce — big box stores, chain restaurants and corporate offices — is found on Routes 202 and 22, which bisect the township. In addition to nearby diners, Sol Mexican Cantina known is for its authentic Mexican cuisine. Janina Bistro is restaurant located in nearby Lebanon offering unique Italian Mediterranean fusion dishes, including homemade pastas, steaks, chops, fish and other seafood dishes. 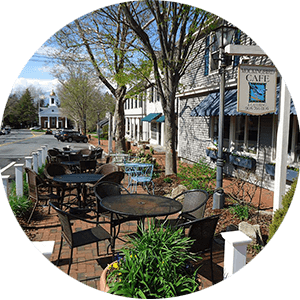 For a more upscale restaurant try The Ryland Inn, a historic Township landmark in the village of nearby Whitehouse Station. picnic facilities, tennis courts, handball court, baseball, softball and soccer fields and playground. Other parks include Ten Eyck Park in North Branch, that includes a dog park, Marshall Street Park in Neshanic Station and Old Towne Park located in the Olde Towne Development. Joseph J. Stala Park also located in Neshanic Station, is in the planning stages of development. Golf courses include Somerset County’s Neshanic Valley Golf Course on South Branch Road which is a public golf course and Fox Hollow Golf Club which is a private golf club. 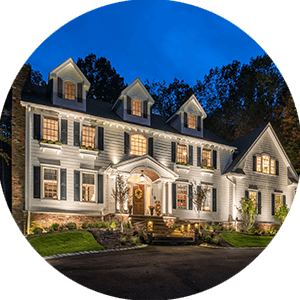 Once primarily a farming community, Branchburg today is a picturesque blend of farmland and residential settings ranging from condominiums to homes on 10-acre parcels. Halfway between Philadelphia and New York, the township offers many of the desirable traits normally associated with Somerset County: a semirural atmosphere, large homes on sizable properties (some zoned to accommodate horses) and a topography of rolling hills. What it doesn’t have in common with some neighboring towns is high cost. The Branchburg Township School District serves public school students in kindergarten through eighth grade. Serving Branchburg for ninth through twelfth grade is Somerville High School, which students attend as part of a sending/receiving relationship with the Somerville Public Schools. The school was the 76th-ranked public high school in New Jersey out of 328 schools statewide in New Jersey Monthly magazine's September 2012 cover story on the state's "Top Public High Schools." In the 2011 "Ranking America's High Schools" issue by The Washington Post, the school was ranked 54th in New Jersey. Access Medical Associates , an urgent care facility is located on US Highway 22 in the Township; Somerset Medical Center in Somerville is approximately 6 miles away and Hunterdon Medical Center in Flemington is approximately 15 miles away. 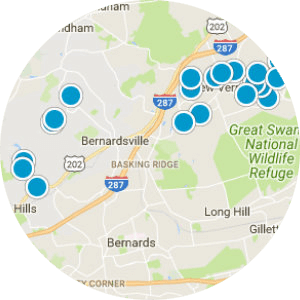 Branchburg Township is centrally located with access to major roadways and highways. U.S. Route 202 and U.S. Route 22 travel through the township with easy passage to Interstate 78, Interstate 287 and Route 206, enabling residents to travel to New York City and Philadelphia within one hour. Bus service between New York City and Allentown, Pennsylvania on the Transport of New Jersey bus line is available on a daily basis. New Jersey Transit offers bus service to and from Newark . The Raritan Valley Line has weekly service from North Branch Station to Newark Penn Station, where connections can be made to Pennsylvania Station in Midtown Manhattan. There is also bus service between New Hope, Pennsylvania and New York City, with a stop at the Municipal Park-and-Ride facility on Route 202 North on a daily basis. Newark Liberty International Airport is located approximately 35 miles northeast of Branchburg. Great 1st floor condo with 2 bedrooms 2 baths, newer HVAC large walk in closet, patio. Close to Route 22. Jetted tub with stall shower. Perfect starter home.